Are you on an allotment waiting list? Have you lost hope that you’ll ever have your own plot? Are you thinking of starting a community garden but not sure where to start? Well this could be the book for you. 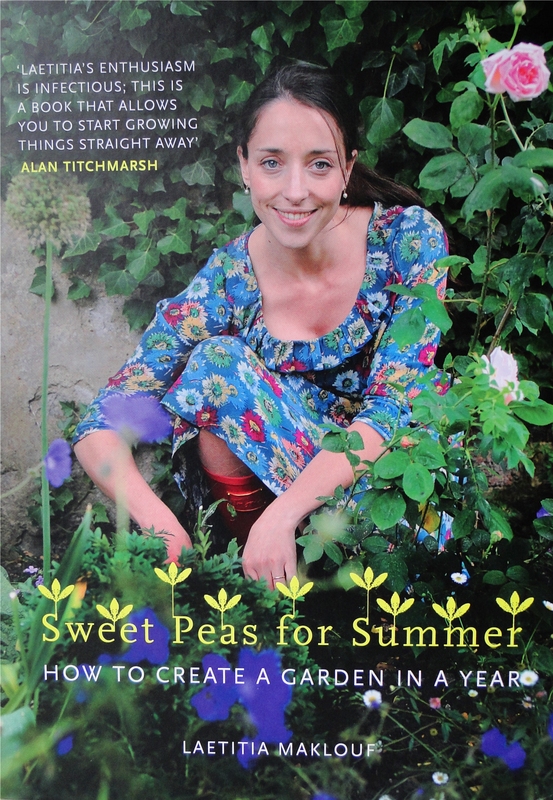 An inspiring story of a group of people from a village in Devon who started an allotment site from scratch, it takes the reader through their journey from finding the site to it becoming a patch of fruit and vegetable abundance. Most people with an allotment and certainly those on a waiting list have heard that councils have an obligation to provide an allotment site if at least 6 people request one. I had begun to think this was just an urban myth, as I’d never actually come across anyone who had managed to get their council to do this. It is, however an actual piece of legislation from the Small Holdings and Allotments Act (1908). Using this nugget of information a resident from the village of Cornworthy wrote to his local council asking if they could look into providing some land for allotments. 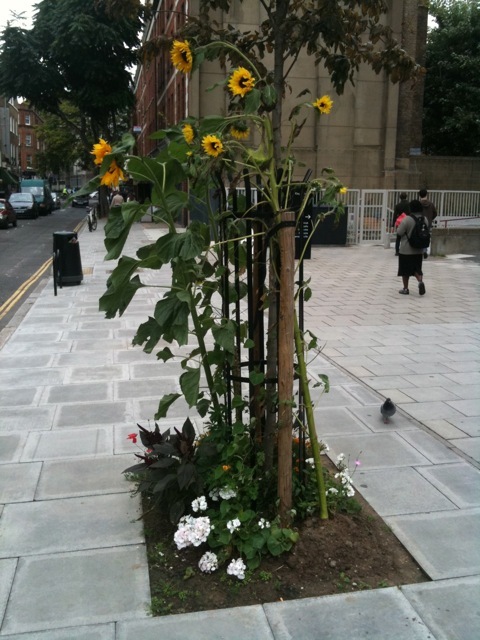 Maybe he was lucky there were 2 councillors who loved gardening and were inspired by the idea. What follows is a tale of ups and downs, set backs and inspiration and ultimately a brand new village allotment site. The book covers how to set up an allotment association, what grants might be available to you and how to go about applying for them. Even if you have a plot on an established site there are ideas in this book that could maybe make your site a more pleasant place to be. I’m particularly envious of their community shed and their composting toilet. I never thought I’d say I was envious of a composting toilet but my own allotment site has neither facility and it is frustrating to need the loo or have nowhere to shelter from downpours. 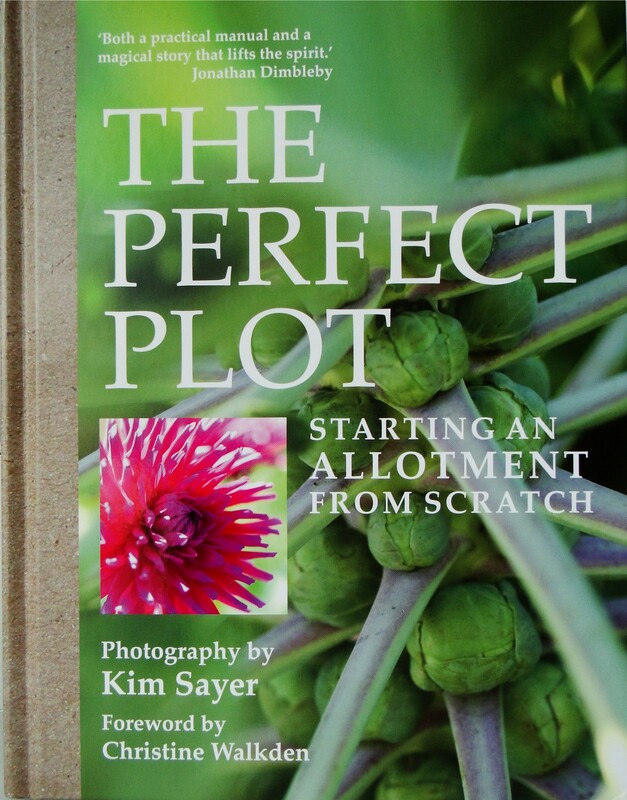 The Perfect Plot is full of advice and stories from the individual plot holders, describing what to grow and what problems you might encounter. It also takes you through the process of making the plot sustainable with the committee members applying for grants to drill a borehole and install a solar powered pump and construct a straw bale urinal and composting toilet. I had never realised that such grants were available to allotments and after some digging around, if you pardon the pun, it seems there are a lot of opportunities for funding especially if you are starting a community garden. Within 9 months of the initial letter to the council the allotment site was up and running and 2 years later with the bore hole drilled the site was fully sustainable. It is such an inspirational story of what can be achieved in a short space of time and how much the allotment has contributed to the village and community. The Perfect Plot is now available from Amazon and all good bookshops. Thanks to Alice at Simon and Schuster. 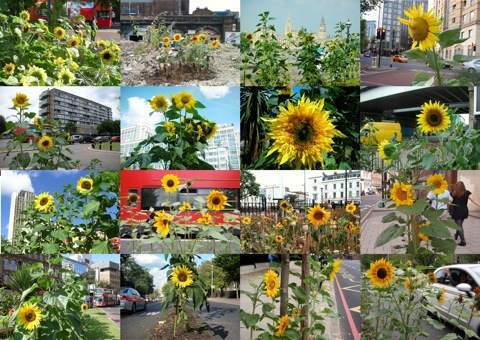 ‘Lets fight the filth with forks and flowers’ are the words of Richard Reynolds the unofficial leader of the ‘guerilla gardening’ movement, where people garden on land that they are not legally allowed to use and on May 1st people will be sowing sunflower seeds in abandoned and neglected parts of their towns and cities under the guise of International Guerilla Gardening Sunflower Day. 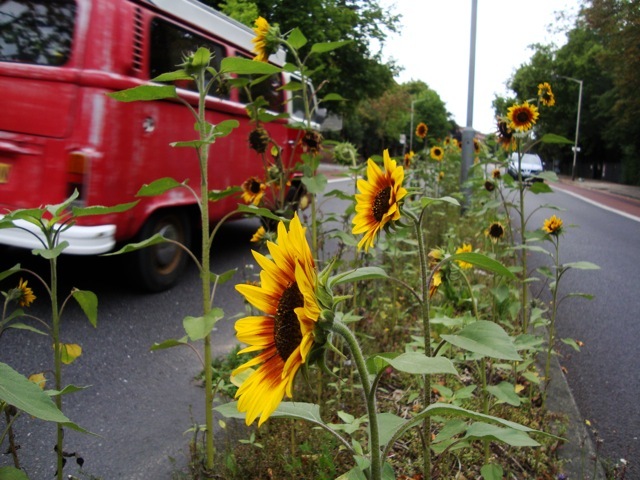 Back in 2004, Richard Reynolds fed up with the grime and neglect of parts of London and frustrated by a lack of any growing space of his own set about tidying up abandoned patches of land, removing litter and putting in plants. It soon became his passion and led him to write a book ‘On Guerilla Gardening’ charting the history of ordinary people challenging authority and asserting their right to culitvate land, from the Socialist Diggers of the 17th century to modern day guerilla gardeners. He now writes a blog guerillagardening.org, where there are tips on how to be a guerilla gardener and how like-minded people can coordinate their actions. A quick look at his website shows roundabouts, the central reservations of roads, or squares of earth around the base of trees transformed from bare and scruffy patches of earth into little oases of colour, amongst the grey, concrete and tarmac. The movement however has split the horticultural world with some sections embracing it but others disliking the anarchic element. It could be argued that it is the ‘Big Society’ working, local people taking responsibility for the area in which they live and tackling problems that councils and businesses aren’t interested in dealing with. Volunteers cleaning up litter and beautifying their neighbourhoods with plants and flowers seem like actions that are hard to decry. There are problems though, the most obvious being that permission has not being given by the land owner to use the land and that any gardening would be trespass. However, as you can see from the photos most of the ground used is small patches with no other use and generally council owned. There are safety issues with most of the planting done illicitly at night, being around areas of busy traffic and the possibility that abandoned land might harbour toxic substances or dangerous materials on the land or in the soil. It’s also not a good idea to plant edible food in areas of high pollution such as by the side of roads. 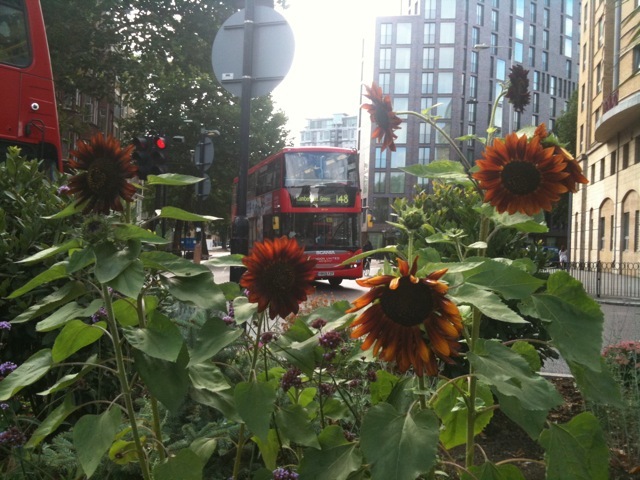 Planting sunflowers and other plants might seem like a bit of a jape by young people, circumventing authority but maybe it goes a lot deeper. Perhaps it is a sign that the ‘powers that be’ are not listening to those in the community. Everyone who is lucky enough to have a garden or allotment understands how much pleasure and joy being in touch with the earth brings. Some would say it is more fundamental to human wellbeing than is often acknowledged. City living, office jobs and modern life have taken us away from nature and the rhythms that our bodies crave. For those desperate for their own patch of soil it must be frustrating to walk past neglected areas, abandoned by their owner for years. Even where I live in rural Wales there is a patch of abandoned land in a local village that has been like that for at least 6 years and yet there is a ten year waiting list for an allotment. A few years ago some frustrated soul had stuck a poster to a telegraph pole nearby saying it was outrageous that what could be a beautiful, productive patch of land was instead covered in weeds. Maybe the message to those who can shape our communities is the importance of making the inhabitants feel like they can still be in touch with nature. So much of what is built today is cold, grey and uninspiring it’s no great surprise that with increasingly crowded cities, the growth of grow your own but the lack of space to do so that people are taking things into their own hands and greening our urban spaces. Dry days have been few and far between so far this April. Now I’m not complaining, there’s no denying we need the rain to fill the reservoirs and aquifers and my garden has taken on a lovely green hue as herbaceous perennials spring into growth. But I had started to suffer a window sill and cold frame backup, with plants needing to be potted on and moved into the cold frames to harden off but with no space available in the cold frames for them. It’s just been too wet to plant anything out. Well to be honest it’s been a bit on the cold side too. So with the weather forecast suggesting more sunshine than showers yesterday I decide to make a dash for it and in a flurry of activity I planted out, potted on, sowed more seed and shuffled plants between window sills, cold frame and the allotment. 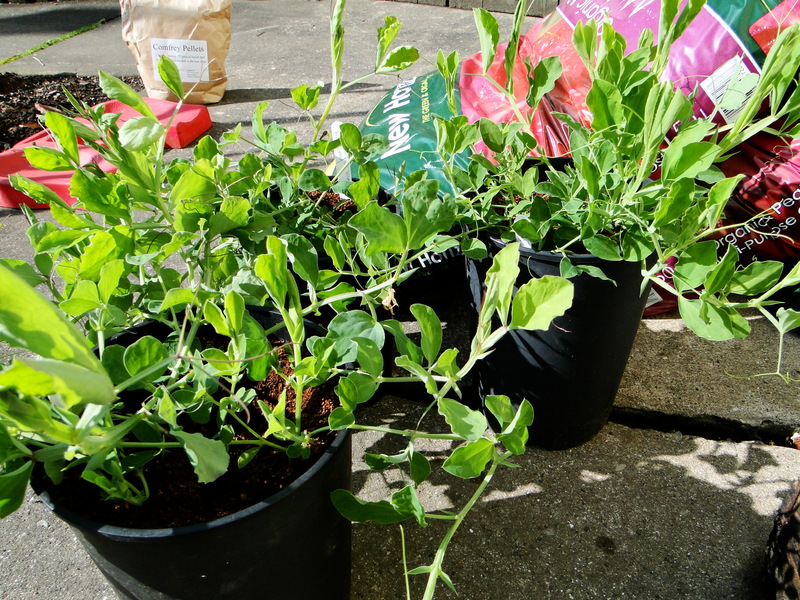 The first to be planted out were the first batch of sweet peas. Sown back in February they were great looking, bushy plants in desperate need of some support so they could do their thing and start climbing. Due to lack of space at the allotment these sweet peas were destined for a hazel wigwam in my front garden. The idea is that they will add some height and provide scent for the warm, sheltered garden in front of my kitchen. To be honest the ground was a little on the wet side to be planting into but with the forecast suggesting another couple of weeks of similar wet weather these plants were going in regardless. Sweet peas can grow to over 2 metres over the summer and will produce huge numbers of flowers if you keep picking them so all this effort requires some food. I tend to add a bit of compost to the planting hole with a handful of comfrey pellets. Comfrey is high in potassium, the nutrient that plants use in the flowering process so this should encourage a good supply of blooms over the next couple of months. Another batch of broad beans and some scabious plants were taken up to the allotment and planted up. Whilst there I spotted the first Charlotte potato pushing through so grabbing a spade I earthed up the shoots to protect them from any frost. Back at home I sowed some more lettuce, basil and carrots in pots and then moved into the cold frame some antirrhinums, asters and larkspur. It’s all a bit of juggling act at the moment trying to have enough plants to plant out with some spares. It’s also time when gardeners start to gamble, gamble on the weather that is. When to sow the tender plants such as french beans, cucumbers and squashes can be a difficult one to call. None of them like sitting in cold, wet soil and don’t like fluctuations in temperature. Sown and grown inside these plants can grow quickly with the warmth of a window sill or greenhouse. The problem is if it hasn’t warmed up outside you could have some triffids on your hands probably not a problem if you have a greenhouse but squashes and courgettes are hard to maintain on a window sill once they get going. It’s already later than I have previously sown but I decided to sow some courgettes, Defender, Romanseco and a patty pan type squash called Sunbeam and also a couple of pots of a red skinned squash called Uchiki kuri. I’m going to wait another week or so before I sow any cucumbers or french beans. As I’m writing this it has been teeming down for about 6 hours now and I’m just preparing to go out with waterproof trousers and wellies on. Such a good look but at least I’ll be dry. 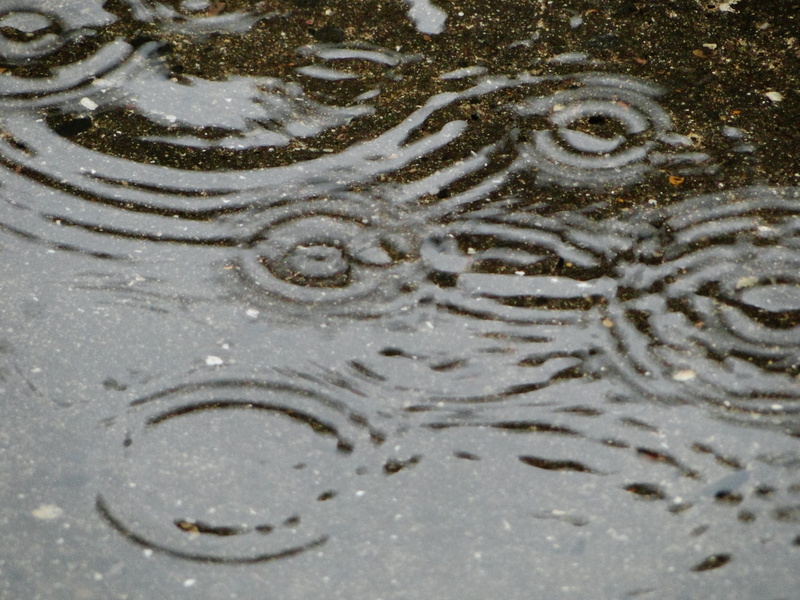 They say a months worth of rain will have fallen by the end of the week and I can well believe it. Hope the plants don’t drown!! For my birthday at the end of last year, Wellyman kindly bought me a day with Charles Dowding. Charles has been growing salad crops and selling them for nearly 30 years now. He has, over that time built up quite a reputation not only for inspiring the British public to be a bit more adventurous with their salad growing but also for following the ‘no dig’ practice of mulching beds and then letting worms and other soil organisms do the hard work of improving his soil structure and fertility. Charles runs courses from his farm, where he explains the thinking behind his ideas and you get to pick his brain and see his philosophy in action, and this is how I spent yesterday. From his farm in Somerset Charles runs a successful market garden, selling bags of mixed seasonal salads to businesses within a 4 mile radius. 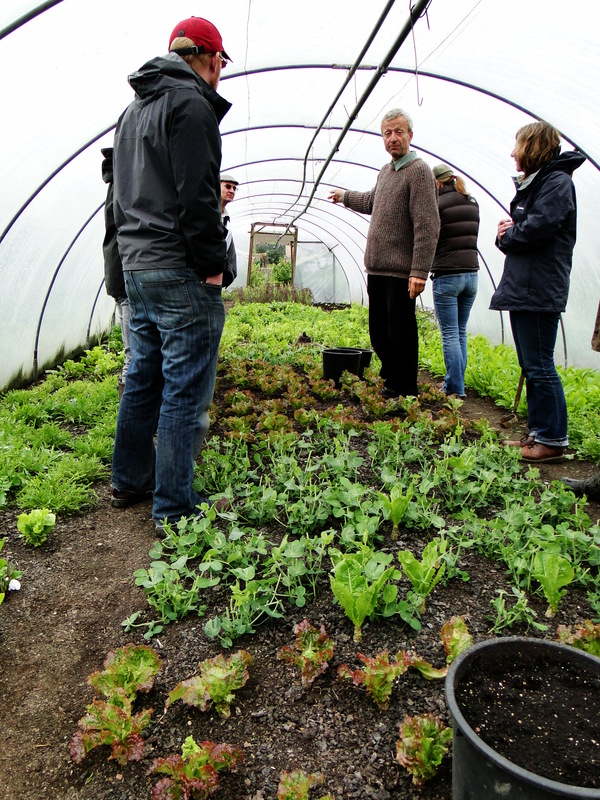 With 2 polytunnels and over an acre Charles makes £30,000 a year from growing salads. The site is less than ideal facing north and on clay but by using the ‘no dig’ technique of mulching with compost and well-rotted manure every year he has created soil conditions most gardeners dream of. The colour of his soil and the lack of weeds were the most striking aspects of his farm. The soil is black and just so rich in organic matter from years of mulching with manure and compost. This dark colour means the soil warms up much more quickly in the spring, absorbing the warmth from the sun. The structure of his soil is much improved draining more freely but holding onto moisture when needed. In fact the structure of his soil is so amazing that he is able to walk on his beds when the ground is almost fully saturated, as it is at the moment after several weeks of rain. When he moved his feet you could see the ground underneath spring back and there was no footprint left behind. This really was quite remarkable to see. Greeted by tea or coffee and tasty flapjack the course started with everyone introducing themselves. There was a broad mix of people, some with newly acquired polytunnels wanting inspiration, others running or planning to run their own market garden and some who just wanted to take away some ideas for their allotment or garden. Dodging the heavy downpours we spent time in the polytunnels seeing what varieties of winter salads he has been growing and getting the opportunity to taste along the way. This was particularly useful. I have never tasted sorrel or chervil before and was impressed enough to be add them to my seed wish list. Charles doesn’t just grow salad crops though and a visit during the summer and autumn will show a site packed to the brim with squashes, tomatoes, leeks, celeriac and much more. He shared with us seed sowing tips and how to achieve good compost. Part of the garden has raised beds which Charles uses as experiment beds, comparing dig versus ‘no dig’ and the effects, if any, of charcoal as a mulch or when dug in. 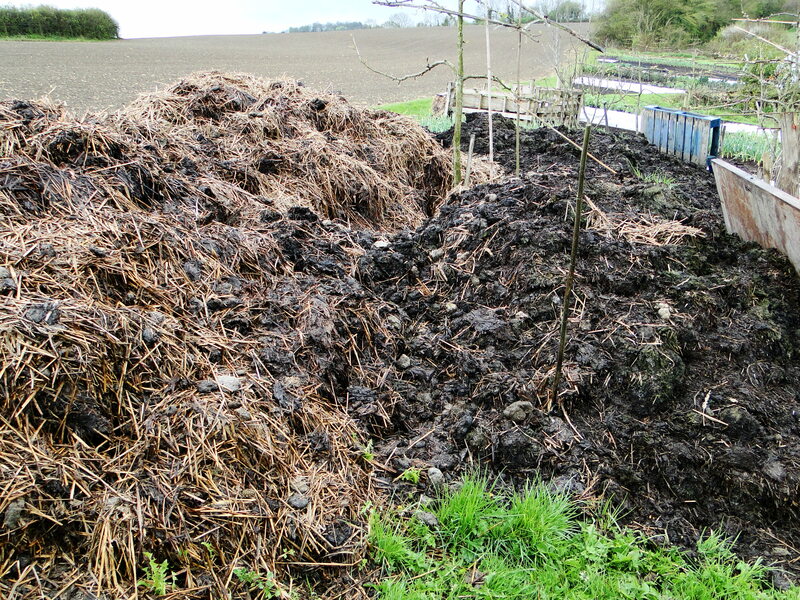 A tasty lunch of foraged nettles for a soup and homemade spelt bread and of course some of Charles’ salad leaves was followed by the opportunity to ask questions and a final tour of the garden, which included a trip to the all important manure and compost piles. I had a great day and came away with lots of ideas. The main ones being to track down a good source of manure and to use the space I have got more effectively to produce more salad and with lots of different varieties. For me it was refreshing to see a different and successful approach to growing. For me studying with the RHS for 4 years has been extremely useful, giving me an understanding of the theory behind growing but some of what you are taught is quite rigid and restrictive in it’s thinking. I’m learning that becoming a good grower is an ongoing process, with a great deal of experimentation and trial and error along the way. People like Charles are very inspiring and courses like the ones he offers are a great way of seeing your plot in a different light. For more details about the courses offered by Charles Dowding visit his website. 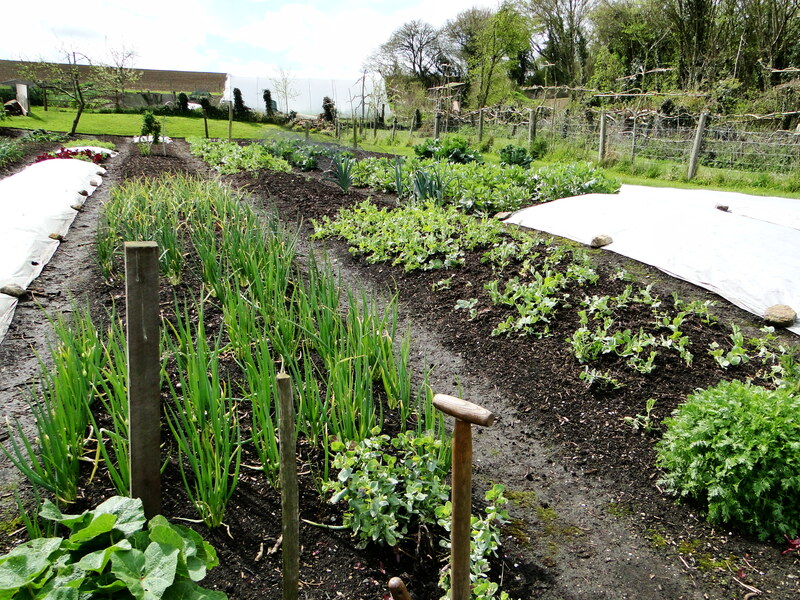 If you can’t get to Somerset don’t despair, Charles has written a selection of books on the ‘no dig’ method, organic gardening, salad leaves and how to get the most from your plot in winter. Again have a look at his website for more information. There are days when I wonder why I spend time growing my own fruit and veg. The sort of day when I think, ‘you know Wellywoman you could just buy this from the supermarket or pick it up at the farmers’ market at the weekend’. That happened on Wednesday when, after a night of strong winds and torrential rain, I went up to the plot to check everything was OK. The cloche I’d constructed over some lettuce seedlings to protect them from the cold, frosty nights we’ve been having had collapsed under the weight of the rain. Fortunately most of plants had survived. The ones that hadn’t had been got by slugs. Our slimy mollusc foe isn’t the only pest that has already started the onslaught on the vegetation growing on my plot. My broad beans which were lovingly nurtured at home before being planted out have been chomped and my peas, which were likewise started off at home, have been nothing short of mauled. I had just assumed it was either birds or mice attacking the peas and beans. These are generally the prime culprits and a quick check of my RHS Encyclopaedia seemed to confirm my suspicions. There was little I could do about mice but I constructed a barrier out of chicken wire in the hope that this would keep off the birds. Regular inspections though showed both peas and beans were still being attacked. 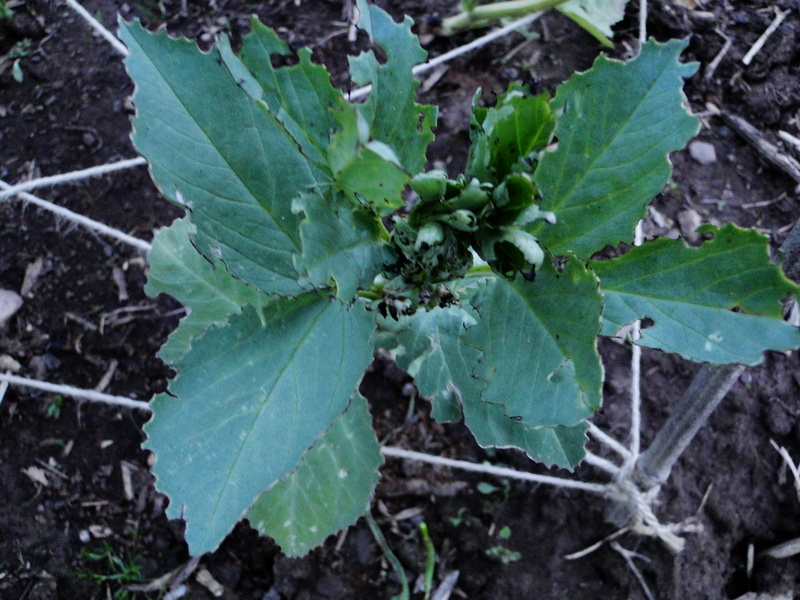 After some research online Wellyman, convinced it couldn’t be mice unless they had acquired the ability and equipment to dangle Tom Cruise like in Mission Impossible, came across the true culprit, pea and bean weevil. A pest that doesn’t even get a mention in my RHS Encyclopaedia, it chews distinctive u-shaped notches into the edges of leaves. Brown and grey in colour and about 5mm long they overwinter in plant debris and vegetation before moving on to plants to feed in spring. Growing green manures overwinter doesn’t seem such a great idea now but my plot is surrounded by grass paths so even without the phaecelia the weevils would have had somewhere to hide. The adults are normally not active until May but in milder springs can appear earlier. It gets worse, the adults come out at night so no chance of catching them and there is no other organic control I have come across, other than growing plants until they are a good size before planting out, which is what I ‘d thought I’d done!! My problems were probably exacerbated by the cold spell just after I’d planted them out, whilst the peas and beans sulked the weevil tucked in for dinner. It’s only April and my great plans for successional sowing are down the pan already. 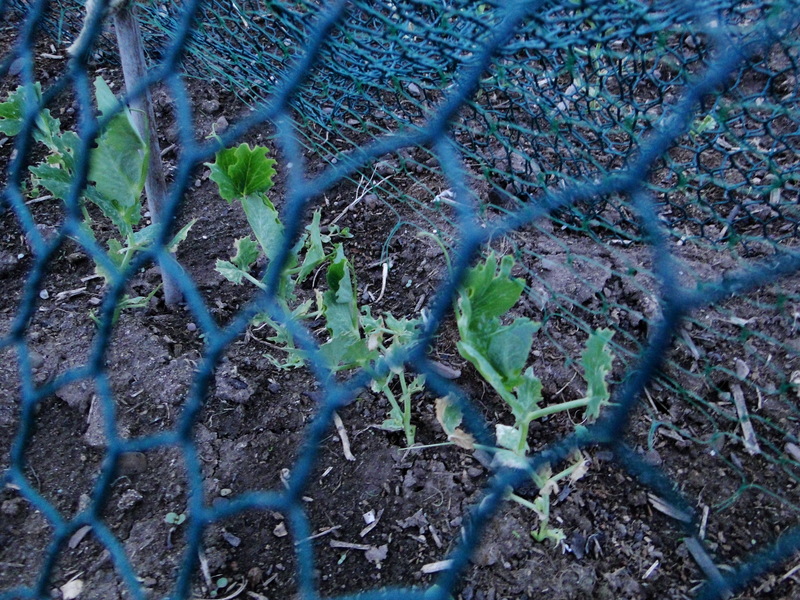 Some of the peas appear to be growing ok but others aren’t going to recover, so now I’m left with patchy rows. This is my first year growing peas and broad beans and I’m beginning to wonder if it was such a wise move. Others on the allotment have been affected too, but some of the older plot holders soak their seed in Jeyes Fluid so that the mice don’t eat the seed and I’m wondering whether this is also why their seedlings haven’t been nibbled nearly so much as mine. I don’t plan on resorting to Jeyes Fluid, a quick look online and it seems fairly toxic stuff, being suggested as a way to get rid of moles to being diluted and used as a weed killer. Doesn’t sound like the sort of thing I want near something I’d eat. I have got other batches of peas growing in the cold frames which were meant to be my second crop, so my plan is just to start again. I might try and keep the new plants at home a little bit longer this time, hopefully by the time they’re sturdy plants it will have warmed up. If not, I’ve suggested to Wellyman we start look at properties in southern France. I don’t mind changing my moniker to Sandalwoman if it means my plants actually grow. Is anyone else experiencing early season growing pains? Please share your woes to make me feel better. Congratulations Ena, I’ll send your details off to the publisher. Hope you enjoy the book. Commiserations to everyone else but thank you for taking the time to leave a comment. I use garden centres occasionally, I’m lucky to live near a good family owned place which is perfect for all the garden essentials but when it comes to buying plants you can’t beat a good plant nursery. Eggleston Hall Gardens in one of the best I’ve been to and believe me I’ve been to a few. 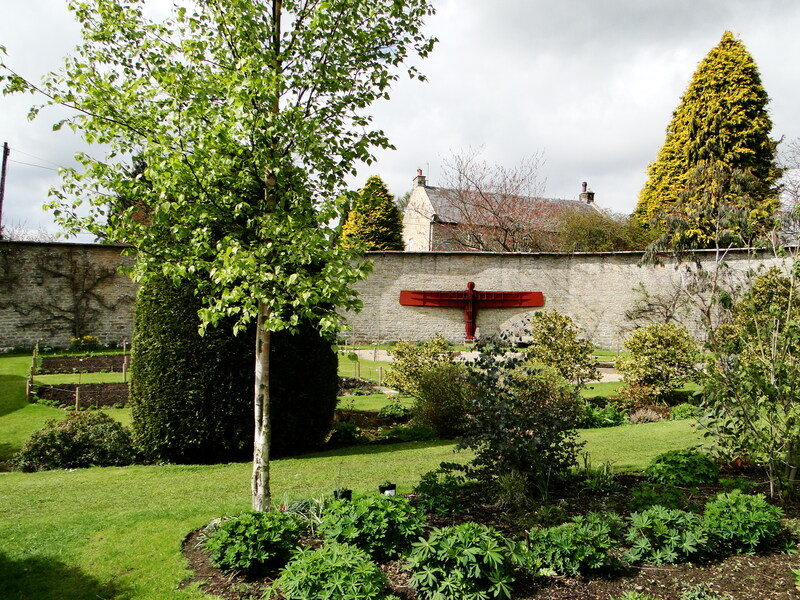 Situated in the North Pennines of Teesdale, not far from Barnard Castle it is a gem of a place. We discovered it a couple of years ago whilst visiting family nearby. It has now become an annual pilgrimage and I don’t think we’ve ever left empty handed. We made a trip there this weekend with the vague idea that I wanted a few plants to go around the new pond. It’s never really a good idea to go somewhere like Eggleston with just a vague idea, certainly not for the credit card anyway. The plant nursery consists of over half an acre housed within the old walled of the nearby Eggleston Hall. Attached are over 4 acres of gardens which form the shop front for the nursery, giving visitors the opportunity to see plants growing in a garden setting. 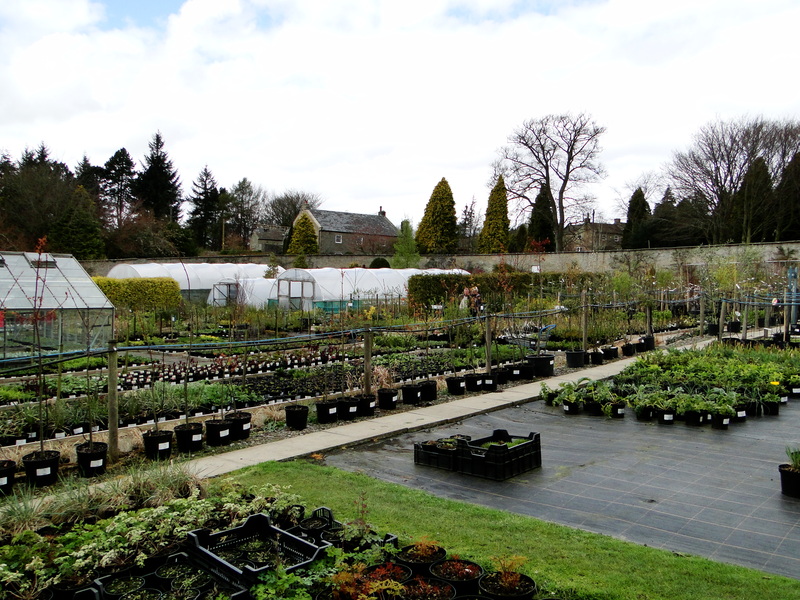 There’s a wide selection of plants available from trees, shrubs and herbaceous perennials to alpines, climbers and grasses. You could easily stock a whole garden from the plants on offer and with a glasshouse packed full of auriculas and restored Victorian glasshouses housing hostas and pelargoniums, this is plant heaven. Everything is so well cared for, unlike the forlorn specimens you so often see at DIY stores and much better value compared to those plants on offer at my local garden centres. The other advantage of growing plants raised here is they’re hardy fellows. If a plant can survive the Teesdale winters it will pretty much cope with anything. I am very much like a child in a sweet shop when presented with this many gorgeous plants to choose from. I try to be restrained, remembering my garden is already groaning with plants but sometimes the temptation is just too much. I came away with a marsh marigold, 2 white Primula denticulata (drumstick Primulas) and a Geum rivale album to go around the pond, a couple of white wood anemones, well I’ve seen so many recently on my woodland walks I felt I should have some in the garden and a big clump of cowslips which I’ll divide once it has finished flowering. In recent years I’ve become a big fan of scented leaved pelargoniums but have found them really hard to find. I did pick one up last year from a garden centre but it had one of those frustrating plant labels that just said it was a scented leaf pelargonium, no varietal name, nothing. It has the prettiest, tiny white flowers which I managed to take cuttings from and overwinter them and lovely fragrant leaves. One of my quests for this year was to acquire at least one more scented leaf pelargonium and one of those on my list was ‘Attar of Roses’, which they had sat on a bench in the glasshouse at Eggleston, so that went onto the trolley, too. 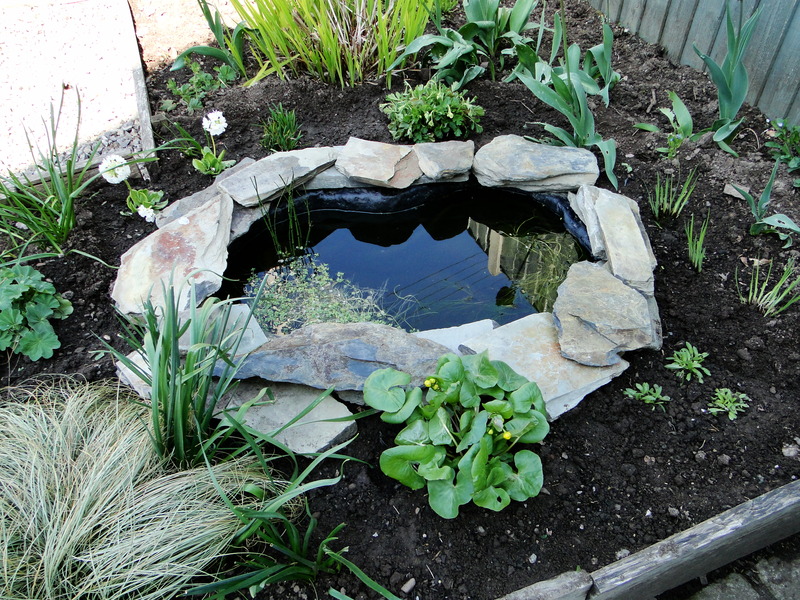 The pond with newly purchased plants around it. Another group of plants I’ve only really started to like in the last couple of years is auriculas. It’s funny how your taste for plants changes, I used to think they looked to strange, a bit fake even but I love them now. Eggleston has a great selection and I chose 2 with deep rich velvety flowers which I’ll plant up into old terracotta pots. And finally, possibly the cheekiest purchase of the day, and this was Wellyman’s idea, was a Magnolia stellata. 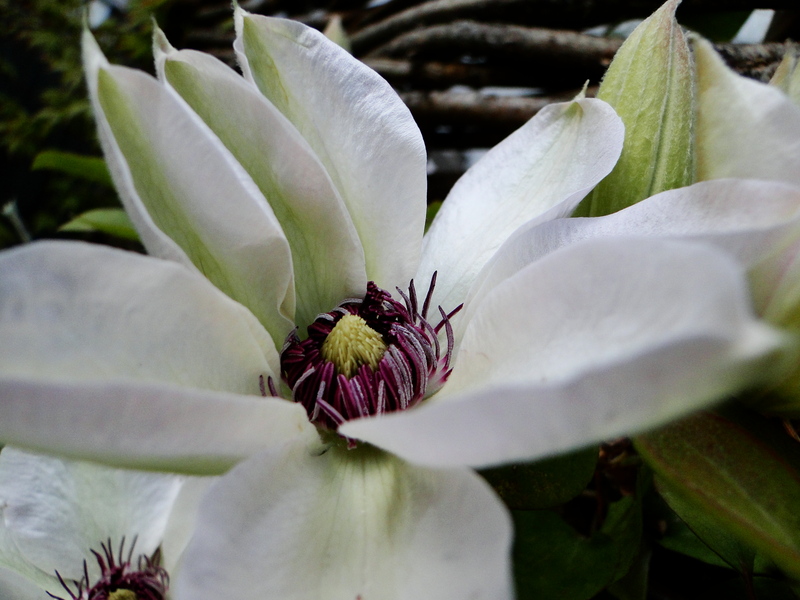 We have no space for a Magnolia and we’ve often said how frustrating they are because one frost and all those much anticipated blooms are wiped out, turned brown and mushy. They are beautiful plants however, and whilst I was trying to be restrained with my plant buying Wellyman came to find me saying he had found a real bargain, a small but perfectly formed Magnolia for £7.50. It was just to good to resist. Stellatas are perfect for growing in containers and growing a Magnolia this way will mean we can protect the blooms from frost with a cover of fleece. I can thoroughly recommend a visit to Eggleston Hall, with a wander around the gardens and tea and cake in the nearby cafe what more could a gardener ask for? 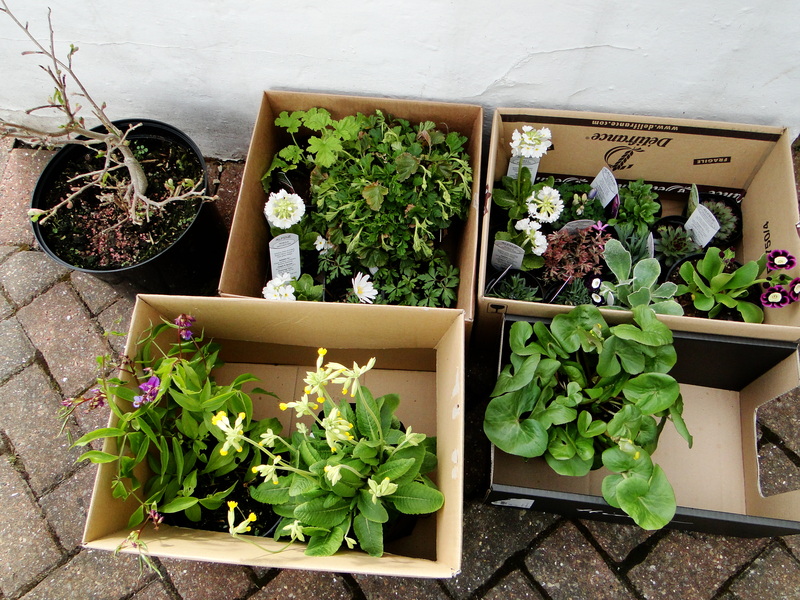 Just don’t buy so many plants that you don’t then have any room in the boot for your luggage like we did. We managed to squeeze everything onto the back seat, but only just. Good job we didn’t buy that Ribes as well! 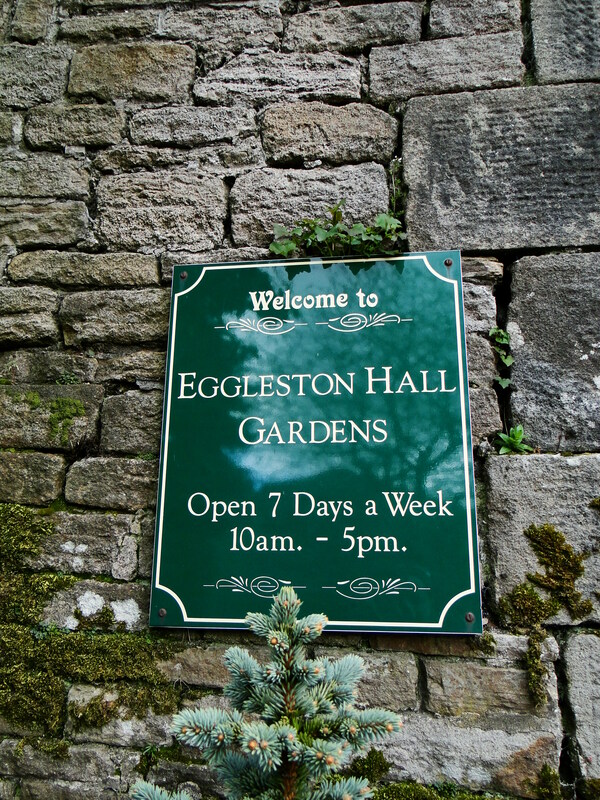 For more information about Eggleston Hall Gardens. Where do you like to buy your plants, have you got a gem of a plant nursey nearby or one you’ve come across on your travels? I’d love to hear from you. RHS Cardiff Flower Show, the culmination of National Garden Week (photo courtesy of Picselect). 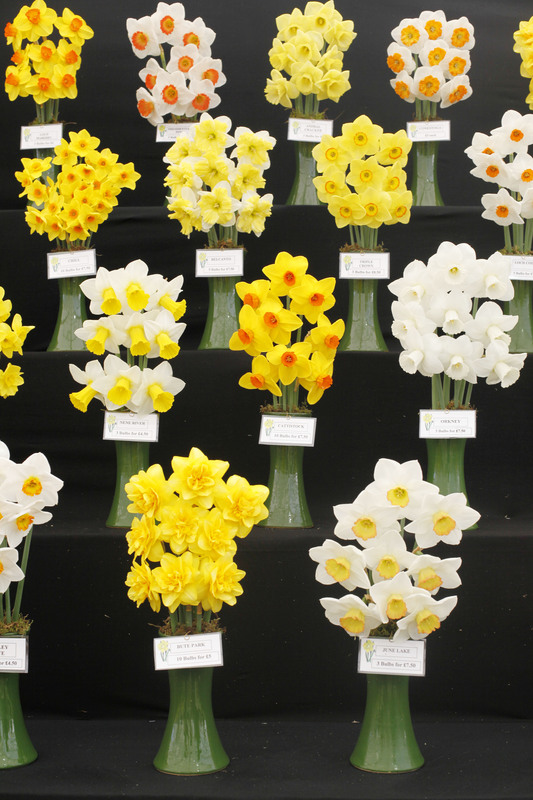 For the first time the RHS are hosting a week-long celebration of gardening starting on Monday 16th April and culminating with the first RHS garden show of the year at Cardiff. 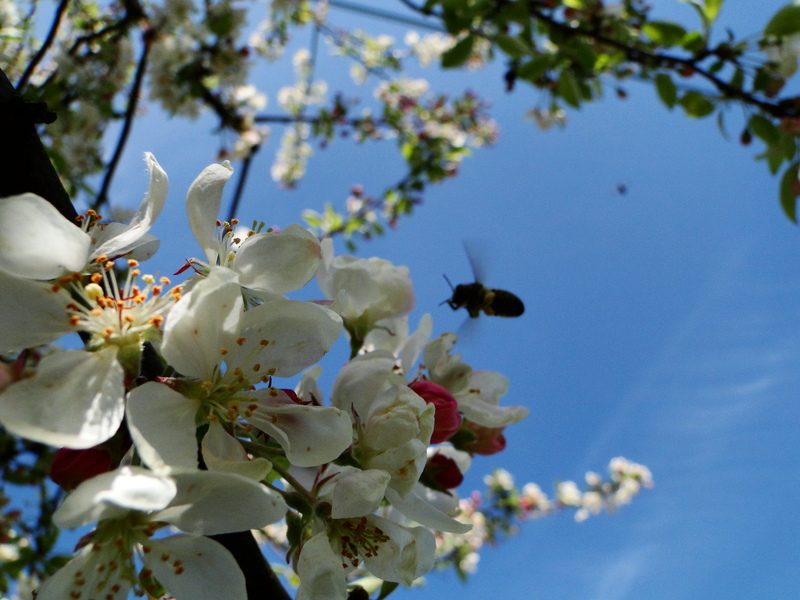 The aim of National Gardening Week is to bring gardeners across the country together and to encourage more people to be bitten by the horticultural bug. The RHS have devised a packed week of events taking place at their headquarters at Wisley and their regional centres, Rosemoor in Devon, Hyde Hall in Essex and Harlow Carr in North Yorkshire. From composting clinics to meeting the gardeners and how to plant up an alpine trough to weed identification their should be something that tickles your fancy! It’s not just RHS sites that are taking part, other venues such as Woburn Abbey and Cannington Walled Garden are laying on events, too and the RHS are encouraging people across the country to come up with their own ways to celebrate, such as plant fairs and seed swaps. Each day throughout the week has a particular theme, so the Wednesday is about careers and encouraging people to think about horticulture as a profession and the environment is the theme for the Thursday. It was Tuesday 17th that caught my eye, entitled Gardens of the Nation. The RHS want garden owners across the country to take photos of their garden on that day and then email their photos to them. The plan is to build a bigger picture of the nation’s domestic gardens, which will become a unique record of social and horticultural history. The RHS already has an unrivalled collection of horticultural history that spans almost 500 years at the RHS Lindley Library, the world’s most important gardening archive. But gardening continues to evolve, and the RHS want to preserve for history a record of the styles and trends found in our gardens today. I love this idea, especially for those of us who don’t live near the RHS gardens or other venues hosting events for National Gardening Week. It means many more people can still take part in the event and what a great archive of material for future generations wanting to see what our gardens looked like on one day in 2012. There will also be a daily Facebook gardeners’ question time when problems can be put to RHS members of staff. So any thorny issues troubling you, then why not ask the experts. 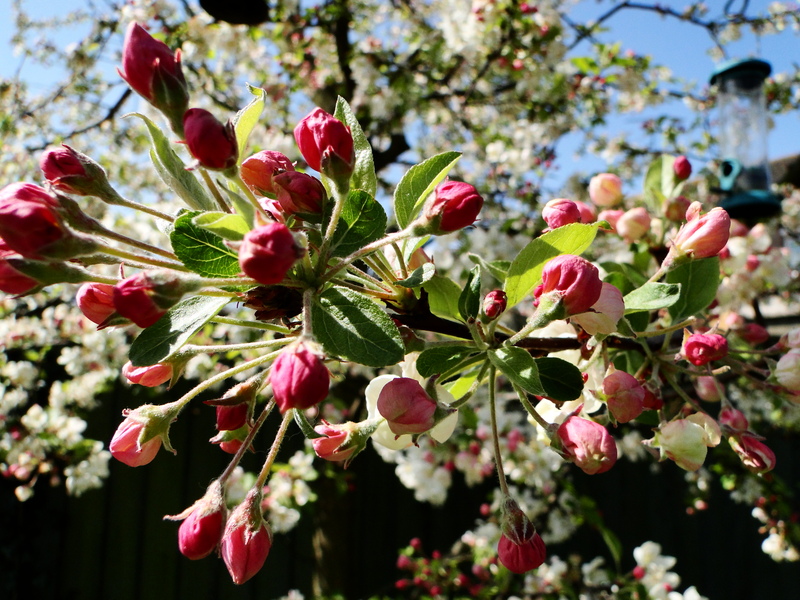 For more information on National Gardening Week and a list of events take a look at the dedicated website. This is also where you will find the email address for sending in your garden photos. 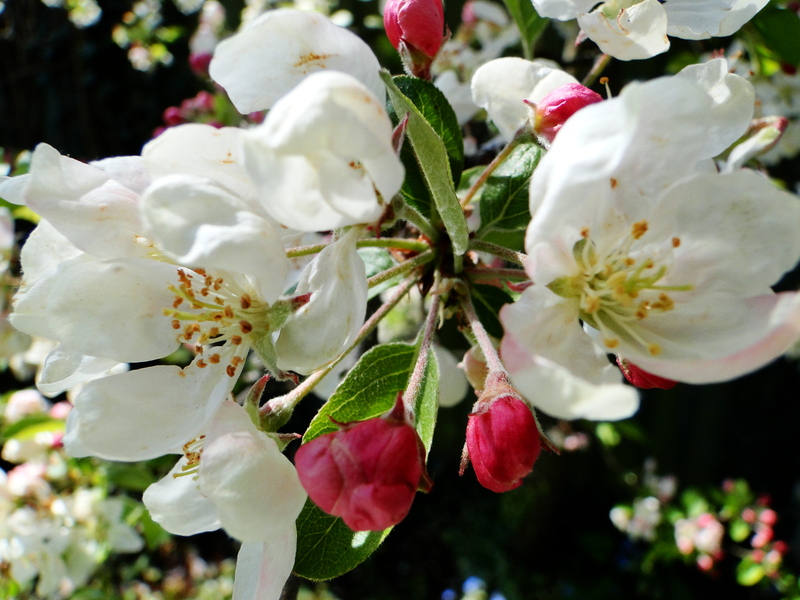 I’d love to hear if you have any plans for National Gardening Week and to see photos of your gardens next Tuesday. We spent Easter Sunday hunting wildflowers rather than Easter eggs. Not as tasty I’ll grant you but it was a lovely way to spend the morning. I’ve always loved wildflowers and then I found out last year that the charity Plantlife need volunteers to record the native flora in their local area. Intrigued I signed up and not long after a form, map and small identification guide came through the post. We had a great time last year doing the survey so were keen to take part again. On Easter Sunday the weather was better than predicted so we drove a couple of miles to the spot we surveyed last year. It’s a track that is now only used by the local farmer and perfect for wandering along looking at wildflowers. With no traffic, the sun shining and birds singing we walked for 1 km down the track recording the plantlife we could see. In just a short stretch the habitat changes from hedgerows open to light to a wooded hollow as the track drops down to a small stream before it then climbs back up and into sunlight again. In a relatively small area it is surprising the number of plant species that can be seen. Last year we carried out the survey on 24th April, so we were interested to see if we would see anything different and how the warm March had affected our local wildflowers. Armed with a camera to record what we saw and a wildflower guide we wandered down the path. Pretty much immediately we spotted our first wildflower, a wild strawberry. 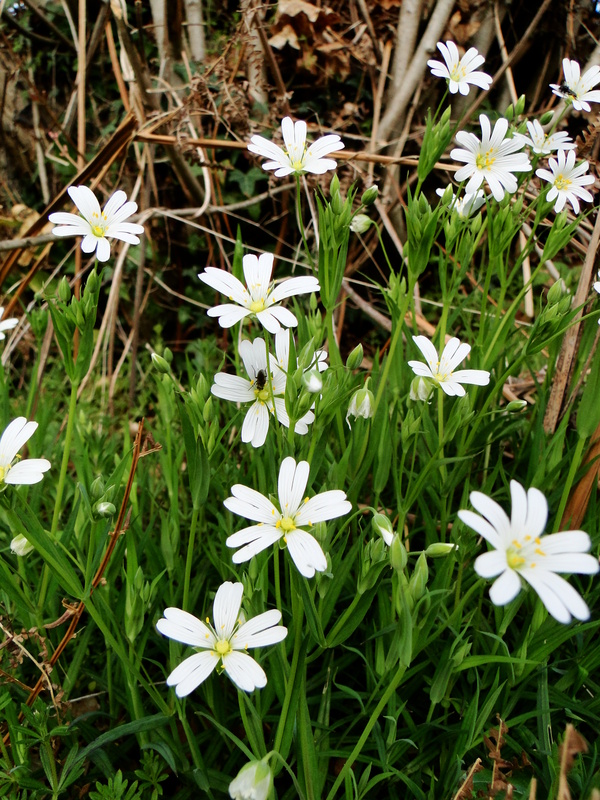 As we walked along there were dog violets, yellow archangel, dead nettles, native bluebells, hart’s tongue ferns, herb robert, lots of lesser celandine, wild primroses, wood sorrel and wood anemones, greater stitchwort and lady’s smock. The great thing about this sort of activity is it really makes you stop and look at something you might ordinarily just walk past. We’re often guilty, I think, of under appreciating our native flora and fauna. Maybe because it is so familiar to us, we see it driving past roadsides or when we’re walking the dog and therefore it doesn’t feel exotic. 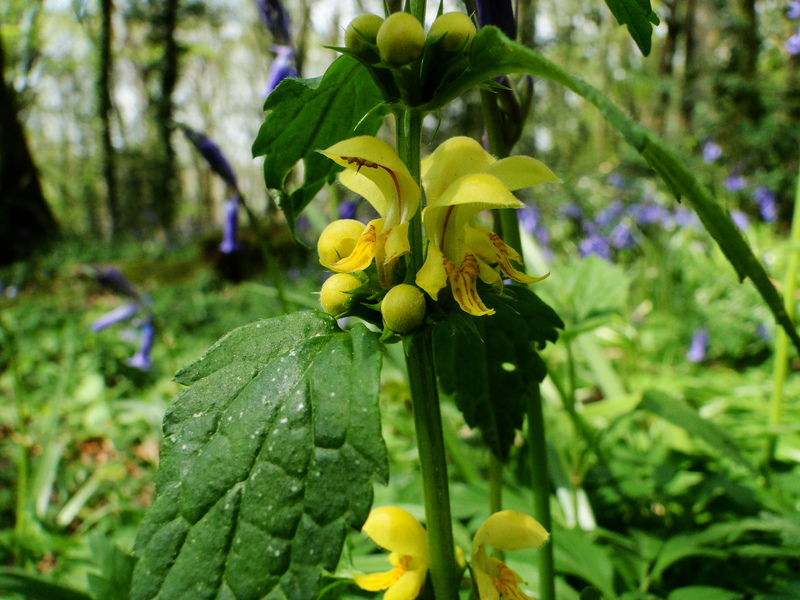 However, fairly common plants such as Yellow archangel have beautiful, delicate flowers similar to an orchid. 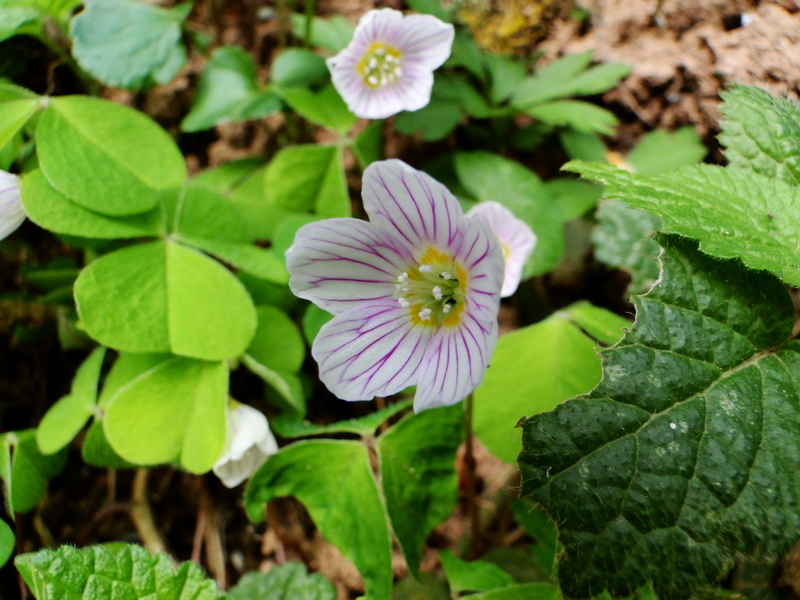 Then there are the white, lilac veined flowers of wood sorrel with it’s trefoil leaves, which it folds down at night. Apparently this is a good indicator of ancient woodland and hedgerows. 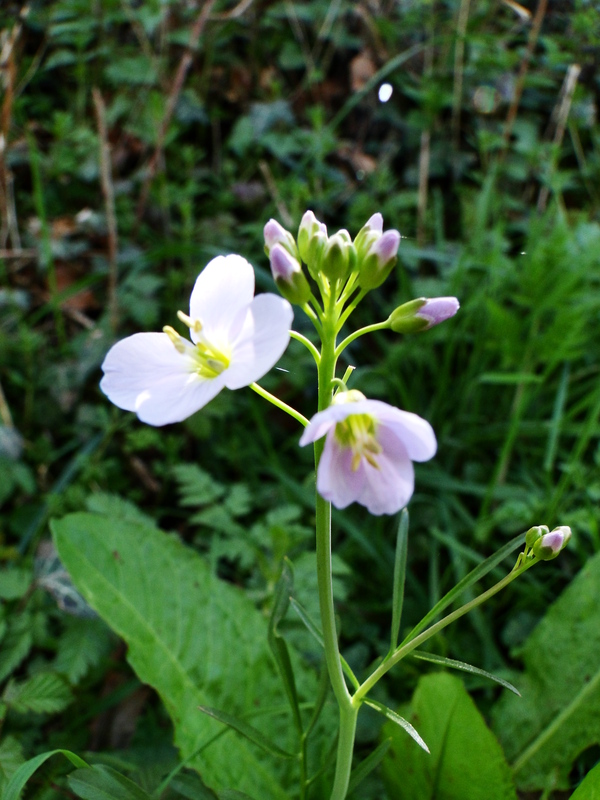 One of my favourite spring flowers which is popping up all over at the moment is Lady’s smock. Also known as cuckooflower it likes damp, grassy places. 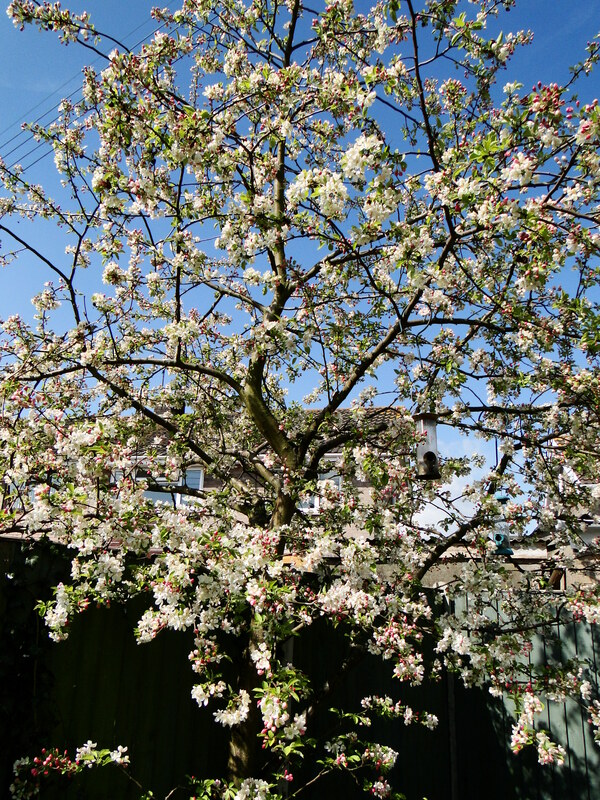 It’s white and pale lilac flowers can often be found en masse creating a lovely white cloud. All these flowers were providing an excellent source of nectar for the huge bumblebees flying around. The only downer to the walk was discovering at the end of the track an interloper, the Spanish bluebell. Introduced back in the 17th century, the Spanish bluebell can hybridise with our native bluebell but it’s the characteristics of the Spanish bluebell that dominate. Our native bluebell is a much more delicate plant, the bell-like flowers form on one side of the stalk and when the flowers are fully formed the stalks droop, forming a distinctive arch. The Spanish bluebells on the other hand look much more robust, have slightly larger, fatter leaves and the flowers are not confined to one side of the stalk and as a result the stem doesn’t droop. The Spanish bluebells are perfectly fine as a garden plant but the problem is when they find their way into our woods and hedgerows and mix with our native bluebells. The survey really is easy to do, simply tick which plants you can see and then send this information off to Plantlife. We’re hoping to do the survey a couple of times this year to see what different species appear as the summer progresses. For more information about native British wildflowers and how you can take part in the Wildflower Count Survey take a look at Plantlife’s website.